As published in The Witness, 12 October 2018 by Edward West. 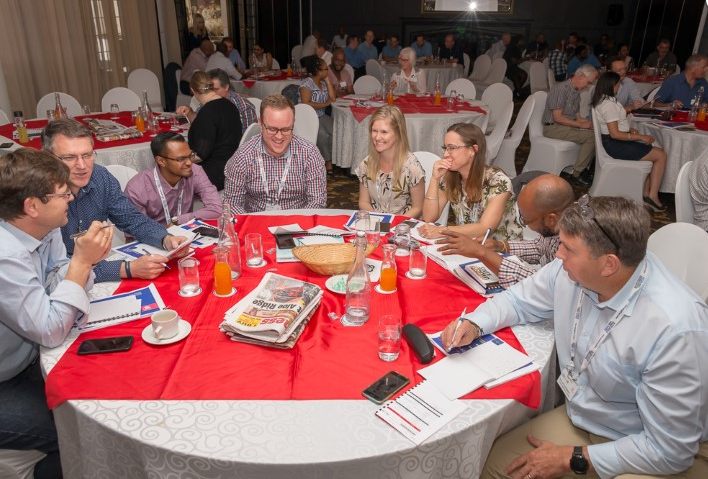 THE biggest fear in training is that it will be ineffective, Tanya Hulse, managing director of Pietermaritzburg-based Training Leadership Consulting, said yesterday. She spoke at the second day of the KZN Conference 2018, that was hosted by the Pietermaritzburg Chamber of Business in Hilton. Training Leadership Consulting is a company that focuses on “developing problem solving leaders in business” and operates nationally and even occasionally in other African countries. Presenting a number of different scenarios to the audience at the conference, it was clear that the fear of training being ineffective was the number one fear among the delegates when it came to training outcomes. Hulse said there are three possible outcomes related to this fear. That the person who was trained never tried out what they learnt (which happens 15% of the time); fear that they will try out their training just a little bit (which happens 70% of the time); and that they will try it out see the benefits of their training (15% of the time). She said there were a host of reasons why training often did not work, including problems with training material, the trainer, no follow-up and more. But these problems could be divided into three groups: preparation before the training, the training itself and issues relating to the workplace application of the training. “Usually we focus on the trainer when training fails to deliver,” but actually there were a number of other factors outside the ambit of the trainer, before and after the training that resulted in it not being implemented.” The role of line managers to identify these problems areas is key to the successful implementation of training, she said. For instance, how often do people go to training, not knowing why or when they would do it at the workplace? She said training was sometimes seen as a “silver bullet” to resolve problems in businesses, but often the root cause lay elsewhere in the organisation.